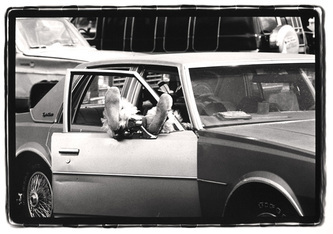 The photographs here are part of a larger series made between 1986 and 1991. 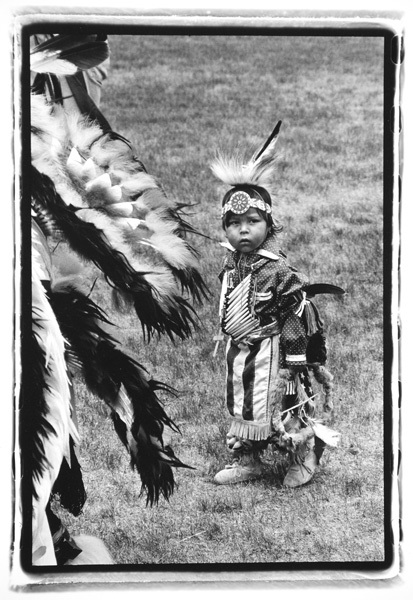 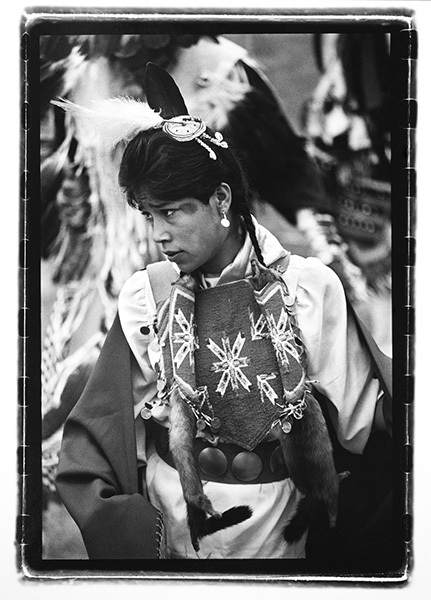 For the most part, the images were made in northern New Mexico during a time when I worked as chief photographer for The Taos News. 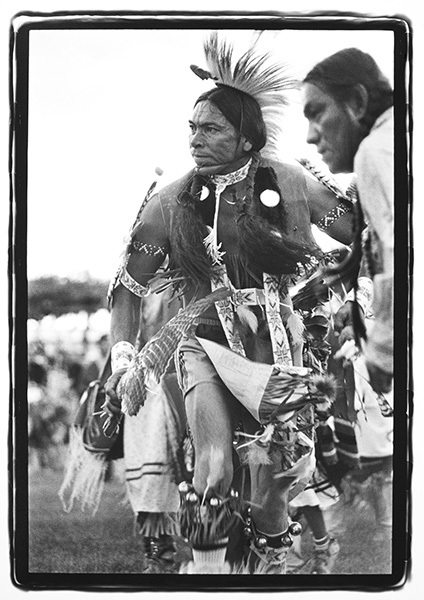 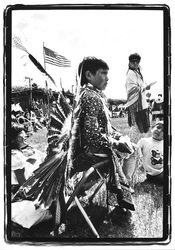 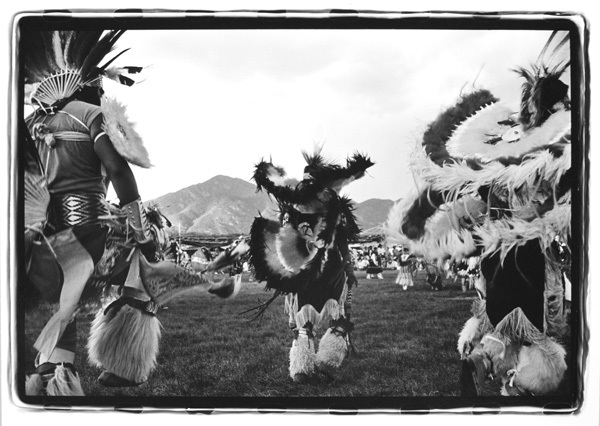 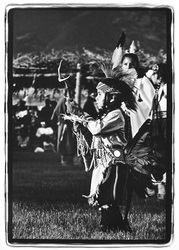 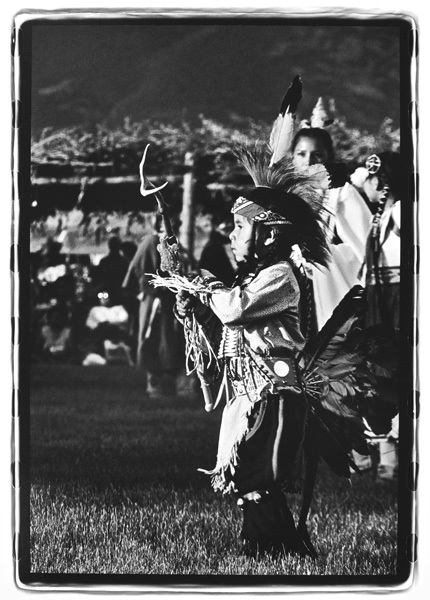 In those years, I was fortunate in that Taos Pueblo was my "beat," and I enjoyed a close relationship with Tribal members and those in charge of the Buffalo Pasture Powwow which takes place annually in July. 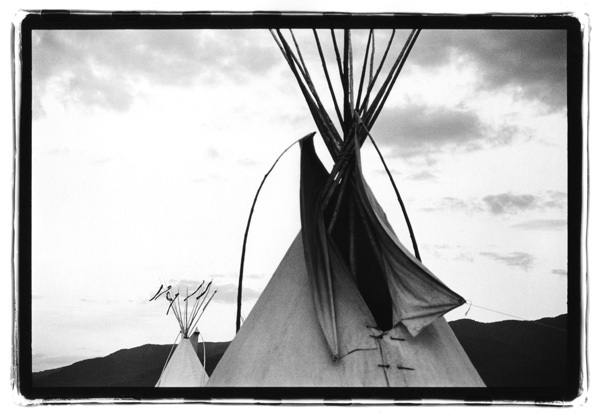 My access to Taos Pueblo and the people living there was--indeed, remains--a special time in my life. 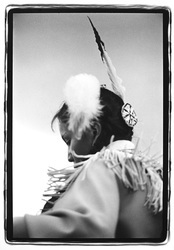 My place as artist in this series has been one of exceptional privilege because I was invited to record these images. 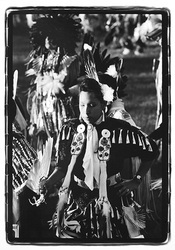 While it is true that I have, in the parlance of an earlier time, caught the shadows of the dancers, at the same time I'm comfortable in the knowledge that I have not taken them. 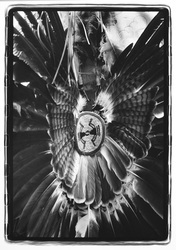 These images are true. The scenes from which these moments are borrowed are not events most people would readily encounter. 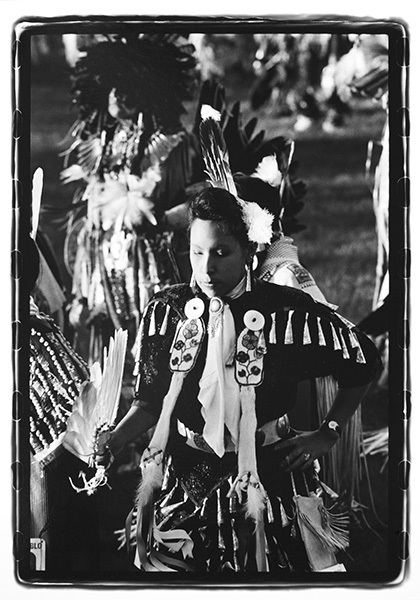 Neither posed nor manipulated in any way, these moments are real--my aim has been to record the dancers as active subjects rather than passive objects. 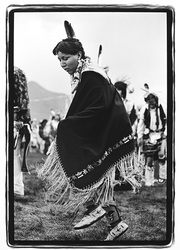 And my goal has been to do so with an eye towards an easy mix of documentary and fine art. I am pleased and proud to say that this Series has been acquired by and is now a part of the Wittliff Collections at Texas State University at San Marcos.